Crisp and chewy textures highlighted this bright appetizer, a house special. 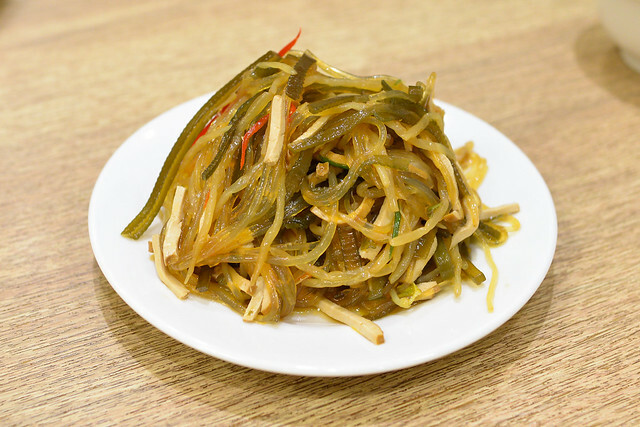 The dressing had a spicy kick to it, complementing the earthy sesame oil. 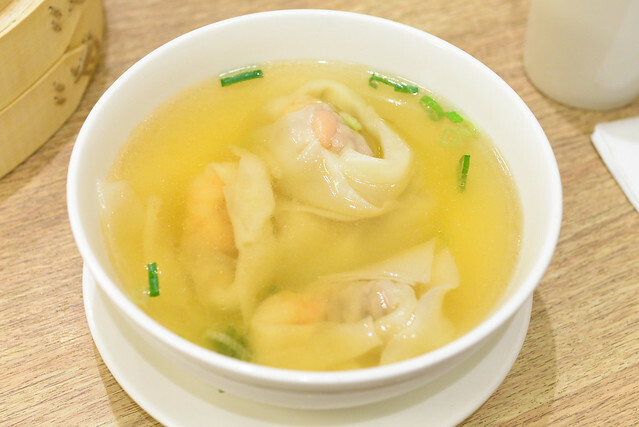 Exceedingly simple, the large wontons were pretty tasty. The clean chicken flavor in the broth was a difference-maker. 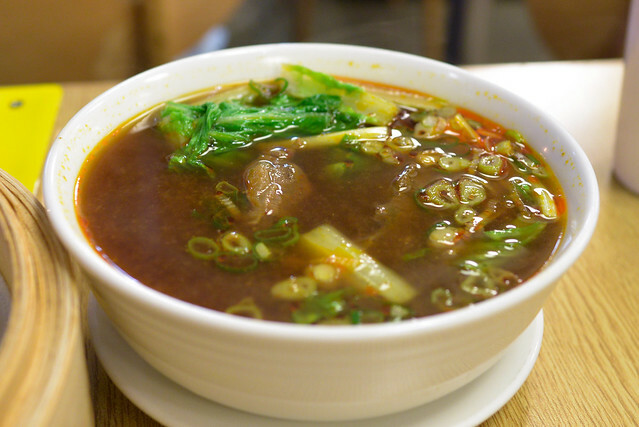 Very tender chunks of beef were bathed in a slightly spicy soup with a lot of flavor and nice depth. This soup was different from last one in that the broth had a simpler, cleaner flavor similar to the chicken one (although this was still beef-based). 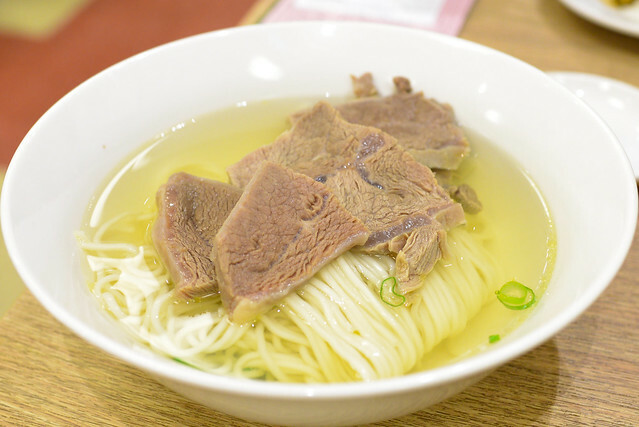 The beef was very tender and the noodles were cooked perfectly, leaving just a bit of bite left in them. 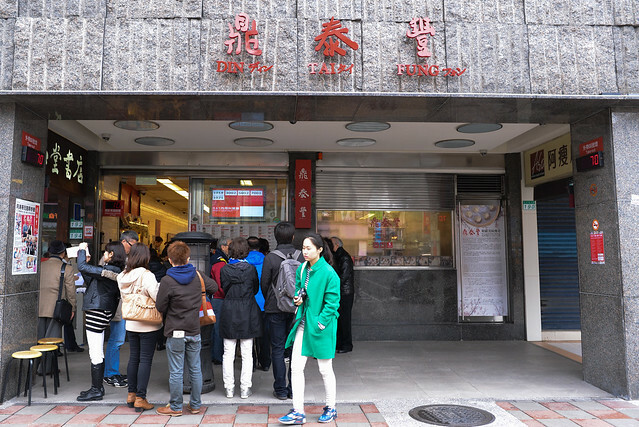 Obviously, xiaolongbao would be a featured item in each visit. The dumplings were delicious, served piping hot with the thinnest of skins (that somehow never seemed to break). I wouldn’t say these were far-and-away better than my recollection of the Los Angeles locations, but the skin did seem superior here. 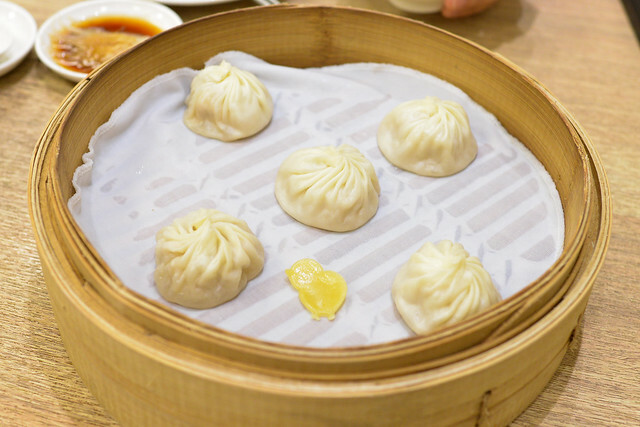 They maintained a soft and delicate texture, while staying much stronger than many thicker-skinned XLBs I’ve had. Perfectly executed every single time. I had to have these in both visits. I’d heard a lot about them since they arrived in LA via the Glendale location last year, but this was my first time having them. 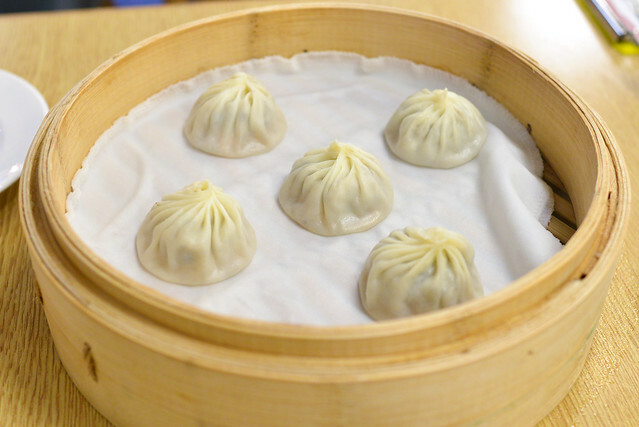 These had all of the characteristics of the pork xiaolongbao, except the addition of what looked to be both grated and sliced black truffles. The aroma and flavor of the truffles really came through in these most luxurious of bites. So good. 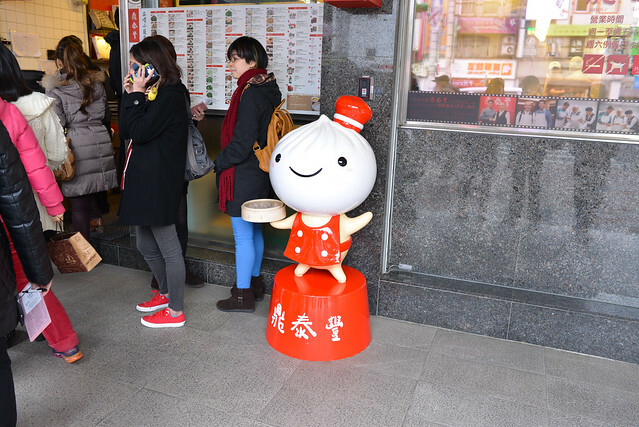 This would be my first time having chicken xialongbao too. These were pretty tasty too, with the chicken having a bit more of a subtle flavor than the pork ones, but the chicken flavor was unmistakable. 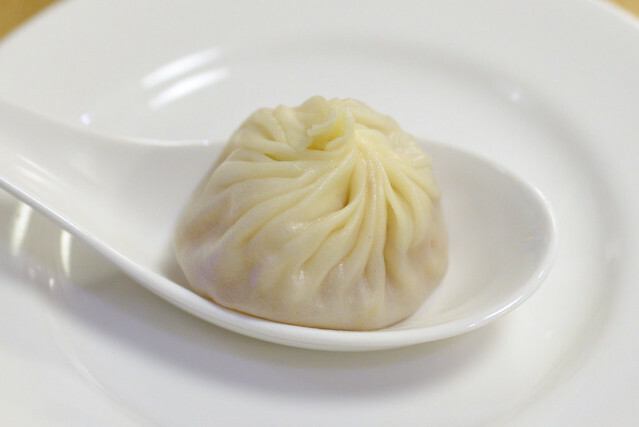 Our last set of xiaolongbao was this crab roe & pork combination. 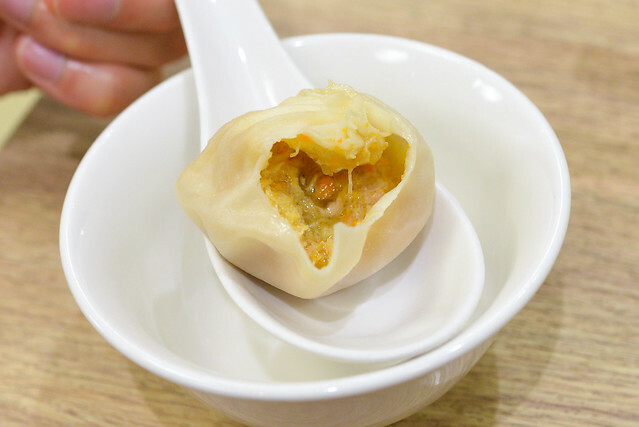 The crab roe flavor was strong and really stood up to the pork; these were the richest of the juicy dumplings we tried. 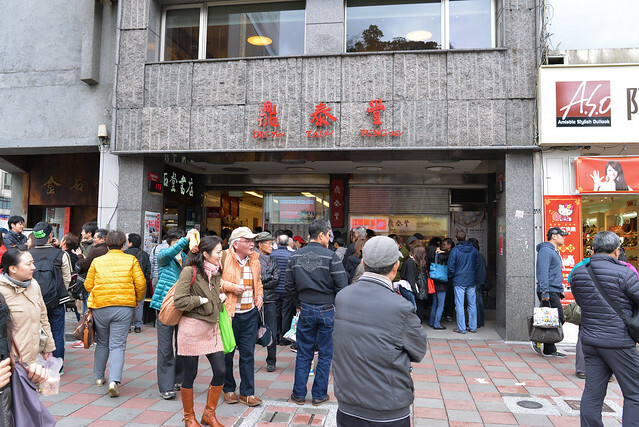 I thoroughly enjoyed my visits to Din Tai Fung in Taipei and consider them a culinary highlight of the trip. 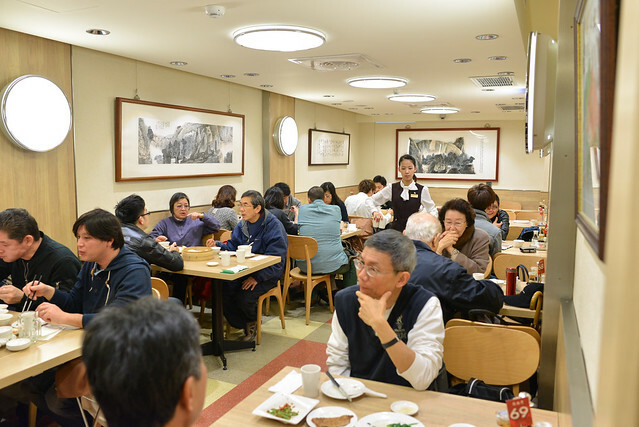 Sure, the restaurant is relatively expensive for Taipei standards for such simple food, but the execution was spot on with everything we tried. Service was surprisingly strong, too. 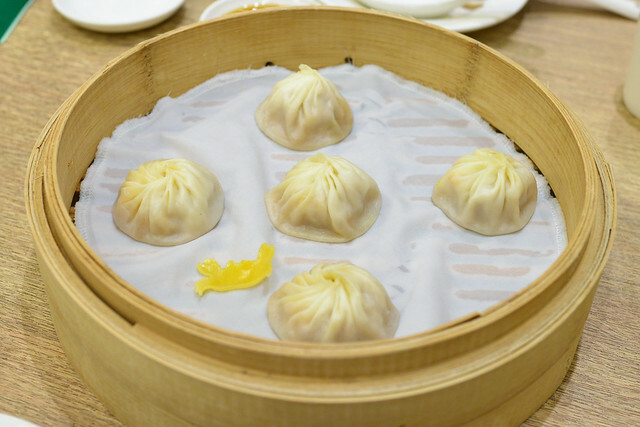 The black truffle xiaolongbao was definitely memorable, and I was happy to get to try some of the other varieties like chicken and the crab roe & pork, which can’t be found in California. 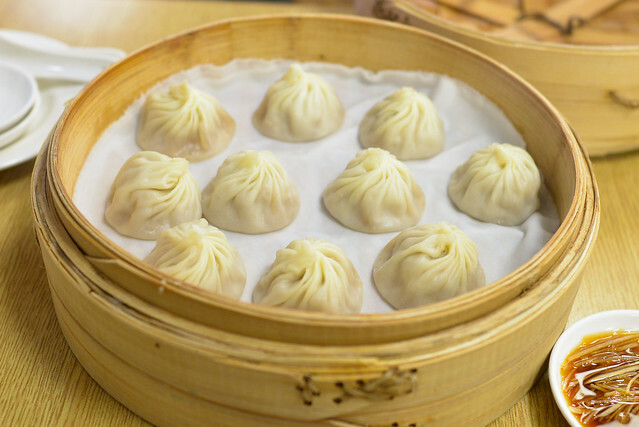 Some may regard Din Tai Fung as a sort of “tourist trap” now, but I’m more than happy to fall into this one over and over. Mmm…XLB…I’m partial to the ones with 100% crab. Oh, man. That’s a gorgeous picture of the inside of the truffle one! I love the little yellow things indicating chicken, crab, etc. I don’t remember them from my visits. Thank you! I loved the little pieces of dough too…totally helped us identify everything.